Swatched from left to right below, is Olivia Palermo x Ciate London in Napa Valley. Ok, so who doesn’t love Olivia Palermo? This for me was an instant grab when I went to Sephora in the States last October and from the packaging to the colour and formulation, it really is a classy nail varnish, just likes its creator! If you wear just one coat it’s kinda like a darker red but with two coats it turns into an ox blood shade but it has a brightness and warmth to it that stops it from being overbearing. Chanel’s Rouge Noir is something I’ve mentioned before in a previous post here so of course this would feature in one of my favourites for a darker Winter nail. It’s a cult favourite for good reason and of course with Chanel on the nails I’m going to feel super chic. The first coat always applies a bit streaky (I would expect better from Chanel), but after two and sometimes even three carefully applied coats this is basically a rich burgundy that in some lights can look black. It looks especially good when I wear my nails shorter. 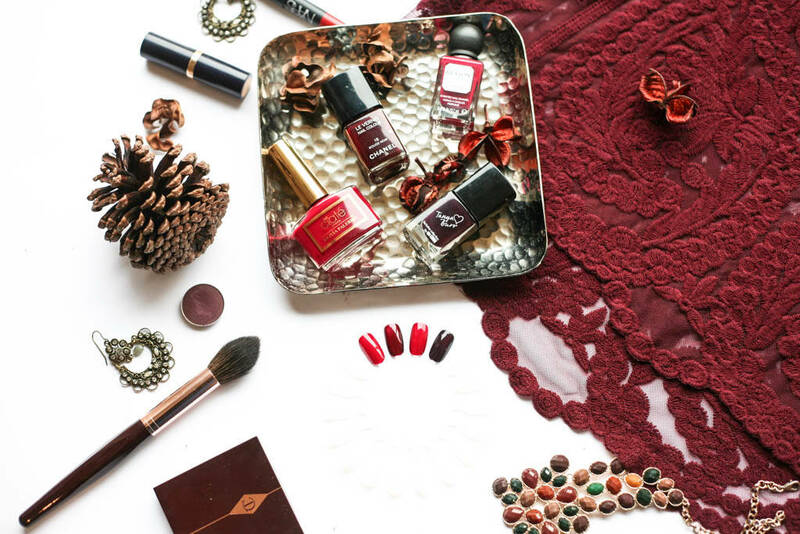 Revlon’s Scented Nail Polish in Bordeaux is a gorgeous deep wine colour and is a bit similar to the Olivia Palermo one in Napa Valley. I don’t care too much for the scented aspect of it but the colour is lovely and I think the bottle is so cute. Lastly is Tanya Burr’s Nail Varnish in New York Night. This is what I would describe as one of those vampy colours. It’s not for the light-hearted and although it’s not technically black, it looks very black when on the nails. 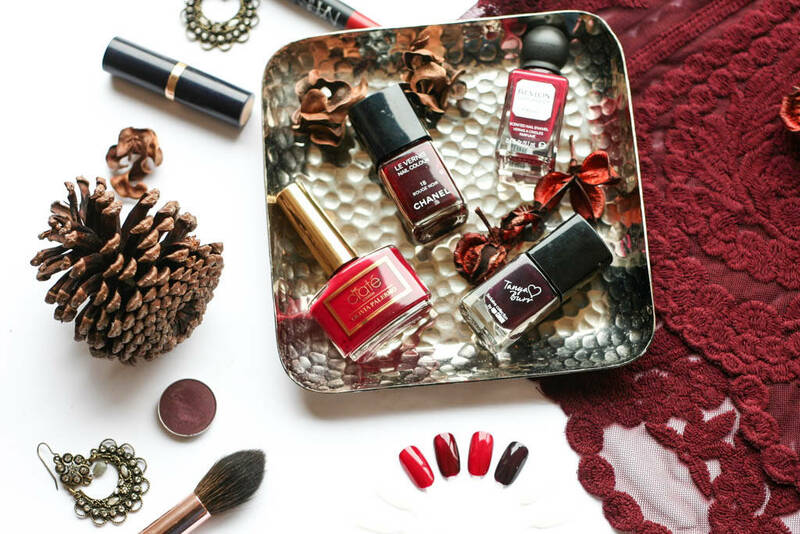 Again, it looks great when I wear my nails shorter and it also featured in my essentials for Winter post here.